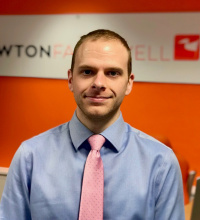 Gareth joined Newton Fallowell’s Retford branch shortly after it opened in 2007. Having obtained a Technical Award in the Sale of Residential Property in July 2011, he is studying for a BA Degree in Business Studies. Outside of work, Gareth enjoys keeping fit, television and exploring new places.